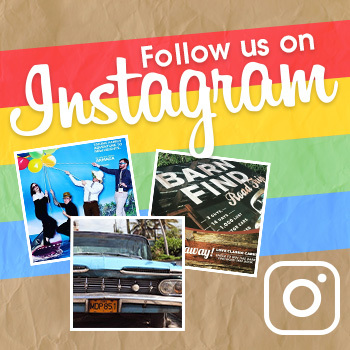 Added on June 23, 2018 The News Wheel EAA AirVenture , EAA AirVenture Oshkosh , Eagle Squadron Mustang , Experimental Aircraft Association , Experimental Aircraft Association AirVenture , Ford auction The Gathering , Ford Eagle Squadron Mustang GT , Ford Mustang The Gathering , Ford Performance , RTR Vehicles , The Gathering auction , The Gathering EAA AirVenture , Vaughn Gittin Jr.
Ford is once again bringing a one-off, aero-inspired special edition vehicle to the Experimental Aircraft Association’s AirVenture Oshkosh fly-in, and it has called up world champion drifter Vaughn Gittin Jr. to help bring it to life. 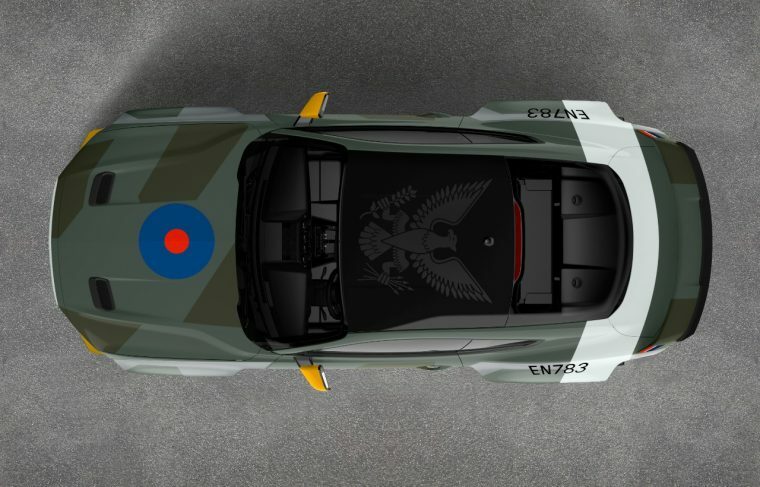 Gittin Jr.’s RTR Vehicles teamed with Ford Performance to create the Eagle Squadron Mustang GT, which draws its inspiration from the Royal Air Force Eagle Squadrons who fought over France and the British coast in World War II. Wrapped in green camouflage and featuring a black roof emblazoned with the Eagle Squadron emblem, this Mustang GT Fastback is powered by a 700-horsepower 5.0-liter V8 equipped with a Ford Performance supercharger and utilizes an RTR carbon-fiber wide-body kit and Tactical Performance suspension package. This one-of-a-kind Mustang will be first displayed at Goodwood before making its way to The Gathering at this year’s EAA AirVenture, where it will be auction off in support of youth education. The highest bidder will also receive an all-expenses-included trip for two to the 2019 Ford Woodward Dream Cruise in Detroit, where they will take delivery of the Eagle Squadron Mustang GT and have the opportunity to meet members of Ford’s design team. Ford has created and auctioned 11 custom vehicles in its 20-year sponsorship with The Gathering, rasing more than $3 million to support youth education. Last year, a F-22 F-150 Raptor collected $300,000 at auction.